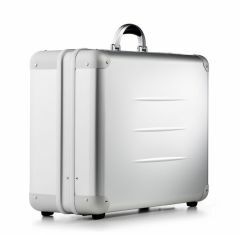 The bwh Koffer ALUpur cases combine a modern, sleek design with high-quality construction. 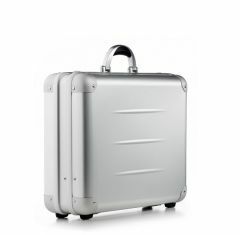 At Absolute Casing, the selection of ALUpur aluminium cases we provide are manufactured from hardened aluminium which is then anodised with natural colours to produce a professional, high-end finish. The corners are made from pressed aluminium to give the case strength and therefore to increase its protective properties. High quality zinc die cast locks and robust metal hinges add further strength and durability to the ALUpur cases range. 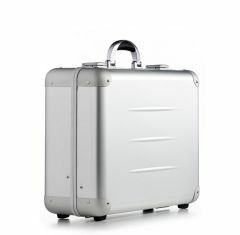 Our collection of ALUpur aluminium cases are very comfortable to use. 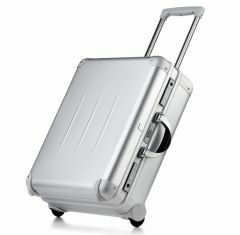 This is thanks to their ergonomically formed handle and trolley system. Along with this, you are also able to customise your aluminium case through our screen printing option, which allows you to add company logos and branding to your ALUpur cases. For additional protection to the contents of your case you can include one of our custom foam fittings. These foam inserts provide a snug fit for your items while they are being transported in our ALUpur aluminium cases. For more details you can contact us by calling a member of our team on 01635 579518. They will be more than happy to talk through your casing requirements. You can also get in touch via email at sales@absolutecasing.co.uk.